The anvil is the flat top of the thunderstorm (so called as it makes the storm look like a giant anvil). The anvil occurs as the rising air hits the tropopause (the boundary between the troposphere and the stratosphere) and cannot continue to rise, thus spreads across the boundary to form the flat, anvil-like formation. A bolt of lightning that discharges from the anvil and appears to "crawl" along the anvil itself, often travelling 10s of kilometers away. They tend to occur during the weakening of the thunderstorm. 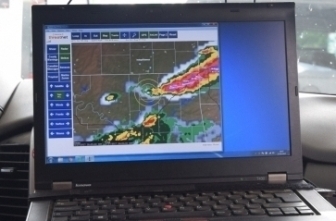 Baron Services provide weather tracking technology that aid in the detection of weather information that can help with varies industries that severe weather can impact (i.e agriculture and aviation. It also is a great help to storm chasers, providing a satellite link that allows chasers to have live updates to the storms they are tracking. 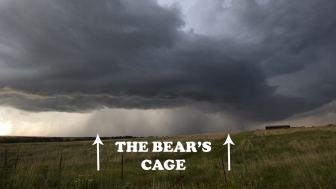 The bear's cage is an area of a rotating thunderstorm that is wrapped in heavy precipitation (heavy rain or hail). The area, often coincident to a radar hook-echo and/or beneath the mesocyclone, often has poor visibility and can drop a tornado. 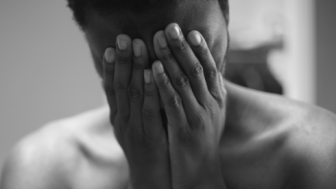 The slang term is used to represent the danger of the tornado (the bear) in an area where it will form (the cage). 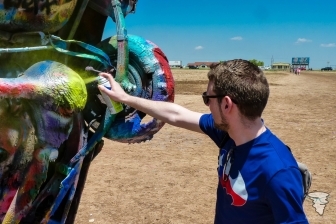 A bust is an unsuccessful storm chase and/or inaccurate weather forecast. Essentially it is when severe weather is expected (i.e. the conditions are generally right for them to happen) but severe weather does not happen. We are always on the lookout for CG as we approach storms. Usually it provides excitement of an upcoming storm (and also something to do during the 200-300 journey). We also are wary as CGs are potentially lethal to chasers, should we be unlucky to be hit by one! 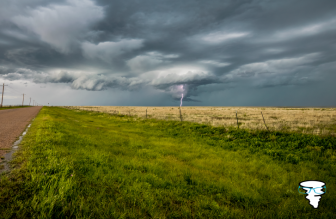 Classic supercells are the most common of the supercells found on the Great Plains of America, and are also the supercells that are most prolific at producing tornadoes. When looking at a classic supercell, the precipitation free updraft and the precipitation core are separate (both as seen on radar and by the chaser). 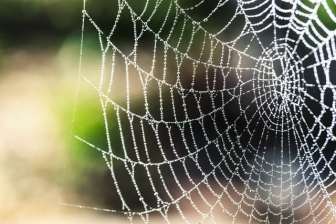 The dew point (sometimes referred to as the dew-point temperature) is a measurement of how much moisture is in the air. It is the temperature at which air needs to be cooled in order to reach water saturation. If the atmospheric temperature reaches the due point temperature, water condenses out of the air. As a hero of mine (Tom Lynch) frequently tells me on tour, "The weather will do what the weather wants". 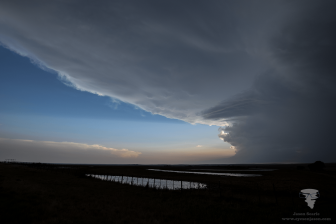 Sometimes we bust, other times there is no severe weather to chase. These days are chances to recharge, explore the local area and relax without the pressures of chasing. 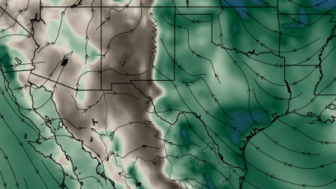 The dry line is a boundary that separates the cooled, dry air from the southwestern USA from the warm and moist air from the Gulf of Mexico to the south east. The humidity drops to the west of the dry line, meaning the air is drier and hence the name. The dry line usually advances east during the afternoon and retreats back west during the night. A funnel cloud is a funnel-shaped, rotating cloud that protrudes under a thunderstorm, but does not reach the ground. If a funnel cloud reaches the ground, it is known as a tornado. 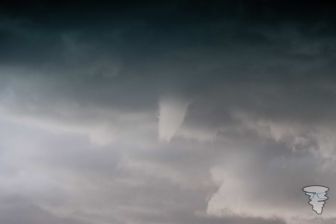 Not all funnel clouds become tornadoes. This is a global weather prediction system that contains datasets from around the world to produce a mathematical computer model to aid in forecasting over the next 16 days. However, the forecast declines in accuracy the further into the future it models. Hailstones are lumps of ice that have grown from small frozen waterdroplets that start suspended in the updraft of the storm before becoming too heavy, causing the ice to fall to the ground. 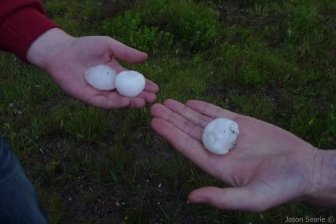 Strong updrafts can cause hail to be the size of golf balls (or bigger) and as such become very damaging as they fall. 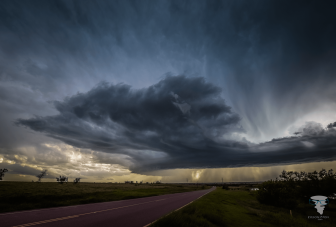 A high precipitation supercell (HP supercell) is one that has high levels of precipitation (i.e. rain or hail). 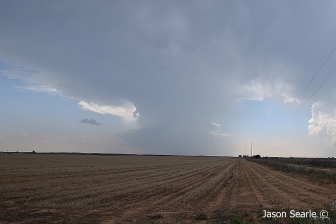 These supercells usually have precipitation that occludes the updraft base. 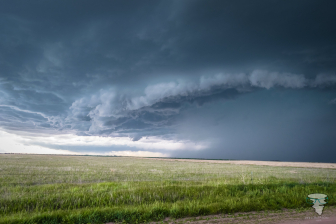 These types of storms are hard to chase because the precipitation can hide developments within the storm and it is these supercells that produce the dangerous rain-wrapped tornadoes. This model (affectionately nicknamed the "pirate model") provides a short range forecast that is updated hourly, out to 18 hours. It only provides data for North America, but has improved forecasting on a short range basis significantly. 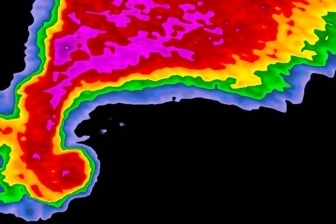 The hook echo is a special shaped radar signature seen on tornadic supercells, producing a hook-like shape. These hooks are formed when the very strong anti-clockwise winds that circle the rotating updraft are strong enough to sweep the precipitation around the rain free base of the storm. These are usually indicative of an imminent toranado, although not always. 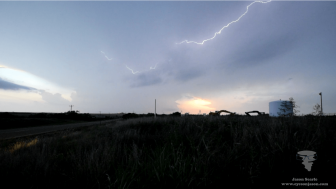 A natural electrical discharge of short duration and high voltage that can occur between two-clouds, within a cloud or between the cloud and the ground. This discharge is often seen by a bright flash and is often accompanied by a loud noise (thunder). 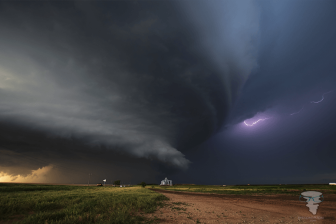 Simply put, a low precipitation supercell (LP Supercell for short), is a supercell that does not have a lot of precipitation (i.e. rain or hail) surrounding it. In these storms, the updraft base and other storm features are clearly clearly visible. Mammatus are smooth and rounded, pouch-like protrusions (think of a cow's udders) that hang from the underside of a cloud. They are often seen protruding from underneath the anvil of a thunderstorm, but can also be found in clouds that are not associated with severe weather. There name is derived from the Latin word "mamma", meaning "breast", hence you may hear them referred to as "boobies" by some chasers. 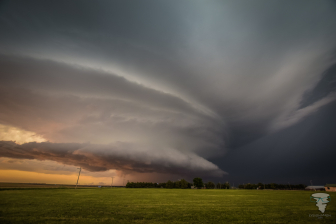 A mesocyclone is a vortex of air (rotating updraft) in a supercell thunderstorm and this can lead to the development of a tornado. The mesocyclones are localised and approximately 2 km to 10 km in diameter. 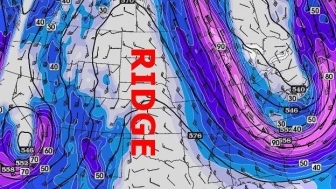 A ridge is an elongated area of high atmospheric pressure, that is formed by the jet stream. This usually pushes away the colder air and makes it hard for storms to develop and usually are a storm chasers worst nightmare. Shelf clouds are low clouds that are horizontal and wedge-shaped. They are seen attached to the leading edge of an approaching thunderstorm or cold front. 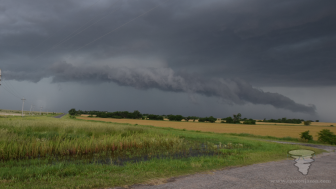 There is often rising motion of the clouds from the front, but when looking at the underside of the shelf cloud, the cloud appears very turbulent and takes on a "boiling" appearance. A sounding is plot of the vertical measurements temperature, dew points and winds above a fixed location, which are drawn on a chart to give the vertical profile of the atmosphere over a given point. 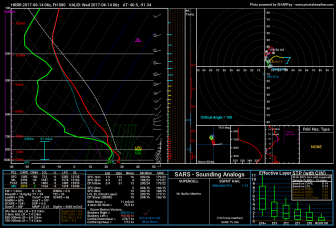 We use soundings to determine the level of instability in the atmosphere, the strength of the cap and a range of other important storm parameters. 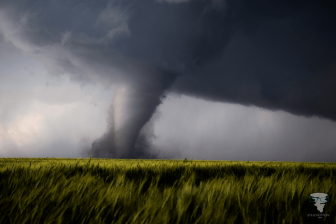 This term is broadly used to describe the activity of locating and following severe and extreme weather, regardless of the cause. 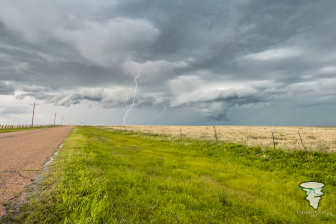 Reasons to storm chase include scientific research, personal interest, thrill seeking, photography, videography and safety reporting. A very loud, crashing or rumbling sound caused by the rapid expanse of heated air that occurs during a lightning flash (click the player below to hear an example). A localised and mobile, violently destructive vortex of rotating winds, which often take the shape of a funnel of cloud that descends from an advancing storm system. 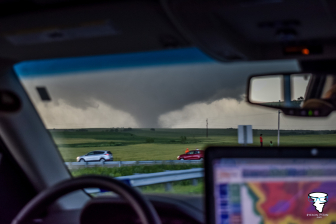 They can take multiple forms and are generally the highlight of any storm chase. 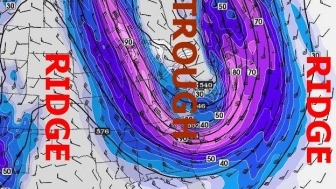 A trough is an elongated area of low atmospheric pressure that is formed by the jet stream. This often brings in a source of colder air to enable storms to develop and provides chasers with more of a chance to pick up on active storm. An updraft is an upward current of warm, moist air. If there is sufficient heat and moisture, these updrafts may visibly condense into cumulus or cumulonimbus clouds. Storm chasers look for these updrafts as large updrafts, if conditions are right, can develop into supercells.